After my last post, Shelly asked if I would share my recipe for soap and a couple of people have mentioned they like the idea, so I thought I'd do a post about it. 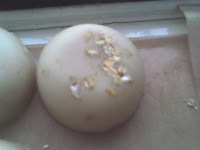 I really just wanted to say that I am happy to post the recipe (at the end of this post), but if you've never made soap before, it's quite a complicated beast. Well not that complicated but if you've never made it before it can seem scary. But honestly it's really only a bit more complicated than baking a cake! Without going into depth or soapmaking 101 - soap is made by mixing fat (your base oils of choice) with an alkanline solution (lye/sodium hydroxide), which then goes through a process called saponification, where the lye solution evaporates and leaves you with soap. What this means essentially is that you have to make a lye solution which can be dangerous if you don't follow a few simple safety precautions. But I really would recommend to anyone that they give soapmaking a go - it's loads of fun and really addictive once you get started. But you do need to read up on soapmaking instructions before you start and there also might be a couple of things you can't get in your supermarket, that you may have to order online. However, if I were to start giving you soapmaking instructions now, it would take up a good 2 or 3 pages, along with notes on superfatting, discounting water and salt bars! But seriously that is all unimportant when you’re beginning. So I'm going to post some links that I used when I got started, to instructions and tutorials. Plus I'm not into reinventing the wheel, all soapmaking instructions are much of a muchness. Soapmaking recipes are generally listed in percentages and these percentages refer to the base oils, which make up 100%. So basically if you are making a 1kg/2lb batch, you will be using 1kg oils and if say you use 30% coconut oil, that would be 300g. This will make more sense when you see the recipe. Your lye / water amounts are calculated off your individual oils. If you see a recipe you like and you have to substitute an oil, you must ALWAYS run it through the soap calc, as otherwise your lye amount will be inaccurate. Different oils have different SAP values. 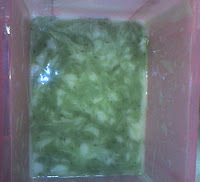 The SAP value is the amount of lye it takes to saponify the oil - saponification being the process of oils becoming soap. In fact, even if it’s a recipe you found online, I’d still run it through the calc just so you’re happy with it! 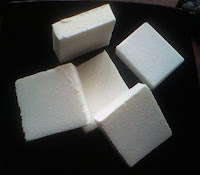 There are 2 basic methods of soap making: cold process (CP) and hot process (HP). I could go on all day about the difference and the pros and cons of each method but there’s only so long that I can get away with not doing any work!! I used hot process for the batch shown in my last post. The best thing about this method is you can use it straight away, easier to get out of the mould and you use less fragrance as you put it in after the soapmaking process is finished, so the lyemonster doesn’t eat it all!! CP soap has its pros though. 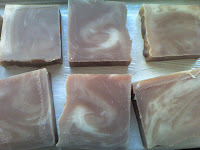 You can definitely make prettier soaps and get them smoother. But it does take longer to cure and you have to line the moulds (a task I hate). It is less labour intensive though, as once it traces, you pour it and mould it and forget about it for 12 hours. With HP you basically have to watch it and stir it regularly until it’s cooked. So I’d suggest reading up on both methods before deciding which to go for. 1. Wear gloves, goggles, a face (dust) mask* and an apron when mixing the lye and again when mixing the lye solution into the oils in case of splash-backs. 3. Line your mould (if need-be) and measure out your fragrance, colour and any additives before you mix the oils and lye solution, it saves you having to rush around to get it ready when the soap traces. 4. WEIGH your oils AND water. Don’t do anything by volume, always weigh it all and make sure you have an accurate scale. 5. BUY A STICK BLENDER! Seriously, buy a cheapo £5 job from Tesco and keep it solely to mix your soap because stirring by hand is not only tedious it takes for-friggin-ever!! 6. You can usually by Lye in your local DIY/Hardware store. My local Focus sells 1kg for about £4. It is marked as sodium hydroxide – I know I know, that’s drain cleaner Sal you crazy bint!! Don’t worry, that’s the right stuff. 7. If you go with the CP method, measure out your fragrance and put it (still in the measuring vessel) into your mould or next to it – then you definitely won’t forget to add it! 8. START SIMPLE! Don’t pick a complex recipe with loads of additives. If you pick CP soap – definitely avoid milk soaps (even coconut or soy for us vegans) and floral or spicy fragrance or essential oils until you’re comfortable with the process – they are tricky to work with, you have to watch temps and the oils can accelerate trace and you really want to avoid soap on a stick on your first try! 9. Don't worry about taking temperatures on your first batch. Just do the lye water first and by the time your oils are ready, the lyewater will be good to go. 10. Like cooking – don’t forget to put on some rad music and sing loud while you’re soaping – it all helps!! 11. I KNOW there's an 11th! But it has flown out my mind. Maybe I'll remember it by the next time I post. CP soapmaking instructions. 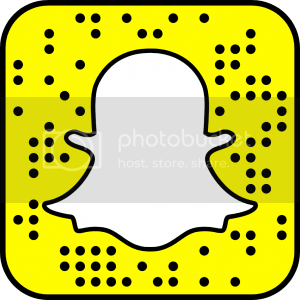 This also has a video about reaching trace – which is really useful. http://www.thedishforum.com/ - Fab forum with loads of advice. If you have a question, no doubt it’s been answered there. But if you do have any specific questions, I’m happy to answer them – just leave me a comment or email me (click on the link to the right) and if I know, I’ll tell ya. Oh and just to keep you interested, here are a few soaps I’ve made – these are all REALLY old and I seem to have deleted all the pretty ones from my photobucket! Dammit, must get to making some more to get some new pics. So yeah, none of them are as amazing and beautiful as some of the soaps you’ll see if you go to the gallery on the dish (the forum I posted the link to above) but they’re not bad for a messy bird. Warm Vanilla Sugar, swirled with titanium dioxide to make it white. Vanilla oils discolour soap to dark brown, so I only scented 3/4 of it. Peppermint salt bars. Salt bars are fun and once you are comfortable with CP soap, definitely try them! This one was oatmeal, goatsmilk & honey - as I said, old pics so this was pregan!! This was a cinammon and apple one. It smelt GOOD! I HP’d this soap in my crockpot. It really only took about 25 minutes to cook because it was such a small batch. I added the sodium lactate at trace and stick-blended it in. If you add sugar to your lyewater, dissolve it in a couple of tablespoons of water and then add it to your measuring jug. Top it up to 190g with cold water, then add your lye. Never add your sugar after you add the lye! Whew! This turned out to be a pretty long post after all! * You can buy dust masks super cheap in the DIY shop! Cool! I'd like to give this a try one day. There are a few ladies who sell soap at our farmer market, but they use beeswax...sigh. Have fun at Take That!! You are such a doll! This post obviously took a great deal of time and work - you are a real friend! 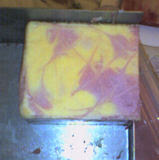 I really would like to try to make some soap, and you are like the soap guru! I am sooooo excited that you're going to write up a little zine! you are too awesome, Sal! thank you so much for putting your soap post together for us! wahoooooo! i’d love to get in to making my own beauty products and soaps and shampoos and such some day – i just need to take the plunge when i have the time. do it yourself products = the best! this is too freak’n cool – thanks so much! 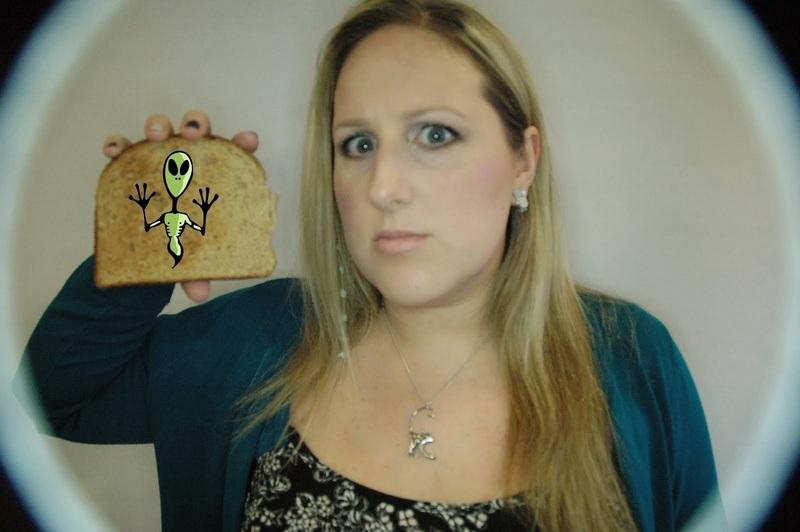 Wicked post alien! I have to confess that Lye scares the beejaysus outta me but reading this you make it sound less intimidating. I also have to confess that making soap has been on my "to do" list for the longest time. I am such a procrastinator! Great info, I never heard that about the sugar in the lye mix. I haven't made soap in ages, but I still have all the materials in storage. A good place to look for a soap class in the US is adult education classses or at a community college. I took one in Cambridge, MA and it was really fun and helps instill the proper respect for lye safety. Thank you for all this awesome info! I need to give this a try one day. Homemade soap is such an awesome gift. that is so cool! sounds really complicated, like you'd have to read a lot beforehand. I'm psyched for your soapzine.